Title: Dynamics of Legitimation: History, Myth, and the Construction of Identity Author: Flavio Cassinari Translated by Giacomo Donis (text) and Anna Morselli (notes) Imprint: The Davies Group, Publishers 284 pp. soft cover USD 28.00 ISBN 978-1934542156 Pub date: January, 2010 Cassinari investigates how time shapes human identity, both individual and collective. It is part of the author’s thesis that all empirical representations of time and of human identity can be reduced to just two paradigms, defined here as “historical” and “mythical” experience, which share the same transcendental structure, defined here as a “dynamics of legitimation.” Thus, historical perspective and mythopoeia are responsible for the actual representations that time takes, all the way from ancient to modern societies, and the “dynamics of legitimation” is the condition for the possibility of the historical and mythical experience of human identity and time. Presenting themes tackled by different academic disciplines (in particular, Philosophy, Anthropology, Sociology, and Classical Studies), the book adopts a transdisciplinary approach to the connection between time and human identity, and it gives a non-specialist answer to specialized problems on human identity arisen in historical studies and social science. Through the original concept of “dynamics of legitimation,” this book offers a philosophical focus on conceptual assumptions on human identity common to different social sciences. The book fulfils the scientific criteria proper to each discipline, and it takes into consideration the most up-to- date literature, but it makes a deliberate effort to bridge the gap between different types of expertise: it touches on aspects of wider cultural interest using a language that translates the specialized concepts of each discipline, in order to make them interact with each other. Contents Introduction Chapter One History 1. Historia rerum gestarum 1.1 Searching for causes 1.2 Truth and usefulness 2. Res gestae 2.1 The essence of mankind and its progress 2.2 Novelty: time as object and its calculation 2.3 Order and becoming: law and freedom 3. The subject and its time 3.1 The form of historical identity 3.2 Historical identity, cause and time 3.3 Political will Chapter Two Myth 1. From history to myth 1.1 Myth and myths 2. Mythical identity 2.1 Functionality 2.2 Pluralization and fragmentation 2.3 Individual and collective 3. Mythical time 3.1 Function and repetition 3.2 Mythical causality Chapter Three Dynamics of Legitimation 1. Empirical and transcendental 1.1 Factual co-existence of history and myth 1.2 The common transcendental structure and its identity-orientation 2. Elements of the dynamics of legitimation 2.1 Primacy of the present 2.2 Causality: interaction and abduction 2.3 Belonging and distancing Conclusions Notes Bibliography Author Index Subject Index Reviews “A magisterial work of interpretation of the relationship between identity and the perception of time. A profound analysis casting new light on the traditional opposition between historical reason and mythical experience. A must to understand what is concealed behind the birth of the modern subject.” —Jocelyn Benoist, White’s Visiting Professor in Humanities University of Chicago “Flavio Cassinari’s book is a rare example of theoretical clarity and erudition, spanning from Kant to Heidegger, from Benjamin to Merleau-Ponty, from classical antiquity studies to anthropology, always holding focus, and engaging with original thought and interpretive suggestions that deserve careful consideration and discussion.” —Remo Bodei, University of California, Los Angeles “Flavio Cassinari’s last work is a pressing question concerning human experience and its development through the experience of time. It can be viewed as a long journey through contemporary philosophy, carried out by a truly enviable knowledge of authors and texts, and an uncommonly rich analysis of its main themes.” —Fulvio Papi, Emeritus Professor, University of Pavia About the Author Flavio Cassinari was Professor of Philosophical Hermeneutics at the University of Pavia, where he was a member of the Interdepartmental Committee for Cognitive Sciences. He was also a member of the editorial board of the philosophical journal “Fenomenologia e società.” Cassinari specialized in German classical philosophy and contemporary phenomenology and hermeneutics. He authored three monographs on these subject areas: Definizione e rappresentazione (Definition and Representation, 1994), where he demonstrated that the ontological question is rooted in the anthropological one, Mondo, esistenza, verità (World, Existence, Truth, 2001), where he pointed out different ontological approaches in Heidegger’s Seinsfrage, from which different positions in the contemporary continental philosophy derive, and Il pensiero poetante (The Poetic Thought, 2000), where he focused the link between Heidegger’s philosophical concept of language and his poetical practice. Working with anthropologists, sociologists, classicists and epistemologists of human sciences, in three books Cassinari distanced himself from the Phenomenological and Hermeneutical tradition in order to re-think the notion of subjectivity and its historical character: in Passato e presente (Past and Present, 2000), Cassinari showed advantages and difficulties of the hermeneutical approach to historical knowledge, and in Dalla differenza al soggetto (From Difference to Subject, 2000), he used for the first time the concept of “dynamics of legitimation,” as a historical link between human beings and their past. 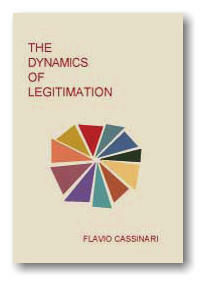 In Tempo e identità (Time and Identity), published in 2005, the “dynamics of legitimation” is delineated as a transcendental pattern, which founds the shaping of human identity, both individual and collective.